Asakusa is Tokyo's traditional district and famous tourist attraction for both international travelers and the Japanese. Asakusa's landmark is Sensoji-Temple, a Buddhist temple visited by 30 million people a year, which has been there for more than 1300 years through some renovations and rebuilding. 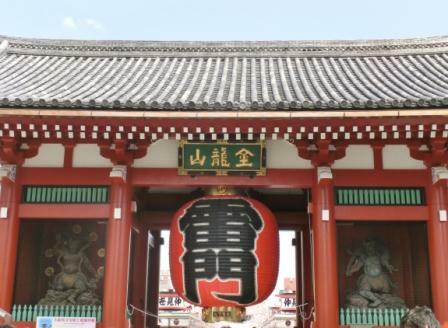 Kaminari-mon Gate, the symbol of Asakusa, is the most famous photo spot in Tokyo. You will walk along Nakamise Street (Nakamise-Dori) lined with local snack stands and interesting souvenir shops toward the temple. 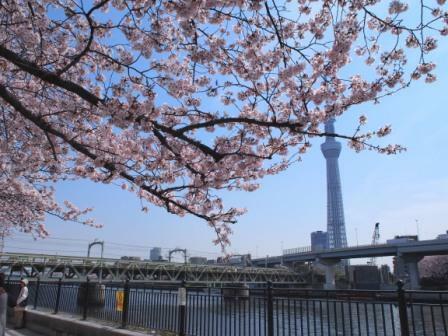 Sumida Riverside (just 2 minutes walk from the temple) is one of the best cherry blossom (sakura) spots in Tokyo. In summer, there is a big Fireworks Festival which is so popular that it is broadcast on TV. These attractions in spring and summer have a history of hundreds of years and some Japanese folk songs praise their beauty. 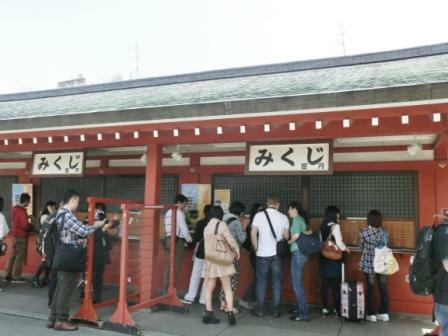 Today Asakusa is popular among international tourists as well as Japanese visitors. You will enjoy shopping and eating in the lively atmosphere of Tokyo's old town. Take JR Yamanote Line (via Ueno, Ikebukuro) to Kanda, change trains for Ginza Subway Line (via Asakusa). Take JR Chuo Line (via Tokyo) to Kanda, change trains for Ginza Subway Line (via Asakusa). TakeKeikyu Line(through into Asakusa Subway Line, via Aoto, Narita Airport). Or take JR Yamanote Line (via Tokyo, Ueno) to Shimbashi, change trains for Ginza Subway Line (via Asakusa). Take Ginza Subway Line. Shibuya and Asakusa are the terminal stations of this line. Travel Freely like a Local! "Kaminari" means thunderbolts. 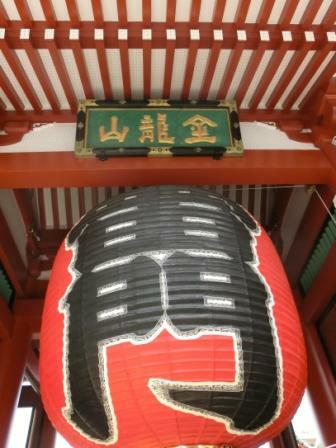 The letters on the big red lantern read "Kaminari" and "Mon (=Gate)". The 2 statues standing in the columns are spirits of wind and thunderbolt, who are guarding the temple. The back side of the gate is also beautiful, so I recommend looking it back. Take photos in front of the icon of Tokyo and let’s advance to Nakamise Street! 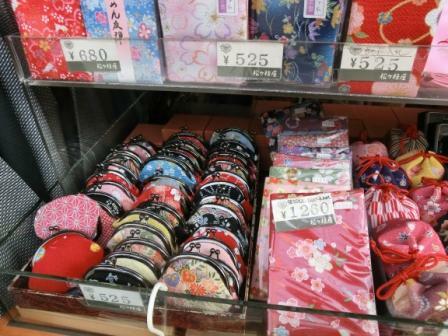 The patterns and colors of these coin cases, book jackets and passport cases are truly Japanese. Be confident to bring them back as souvenirs of Japan. If you are from a non-chopstick-using culture, these chopsticks, some of which have painting of Mt. Fuji, kimono, etc, will be good souvenirs. 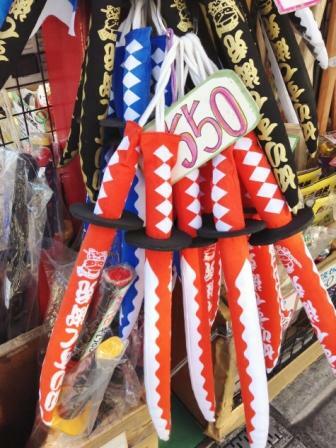 There are various Japanese souvenirs such as Japan logo T-shirts, Japanese wooden dolls, souvinir kimono, toy samurai swords, toy ninja sets, and so on. You will find your favorite ones. This is a local snack called "age-manju" (fried manju). Its crust is made from flour, the paste inside from sweet beans. 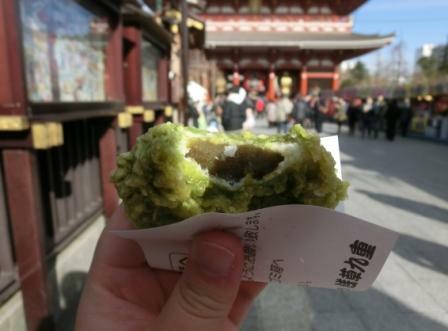 Normally, manju is just steamed, but Asakusa locals fry it as well. Strolling the street with having an age-manju is fun and typical in Asakusa. The one in the photo is macha flavour. 1 for 100-200 yen. Other snacks are also very delicious. Most are made of rice, flour, etc, so they will not taste adventurous. Asakusa is a street in front of a temple. Many shops, including some restaurants, close at 5 - 7 p.m. They are not open until late at night. If you have a particular shop or restaurant that you want to visit, check the opening hours. You will see a five-storied pagoda on your left and Tokyo Skytree on your right. Asakusa is not just a stale old town. The new tower is designed to match Asakusa well. 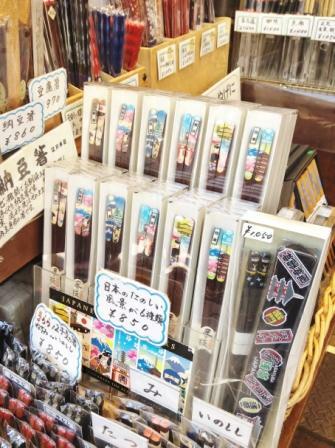 Sensoji Temple's omikuji (written oracle) will be a cool souvenir that is easy and fun to get. 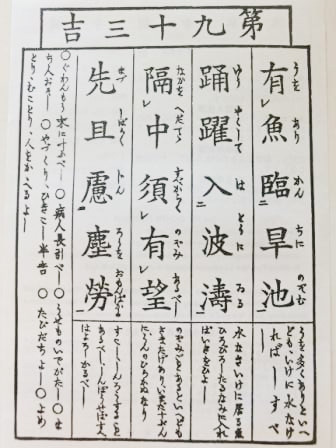 They are written in Chinese, Japanese and have English translations. 100 yen for one. The smoke is said to be a charm against bad things. That’s why people are fanning themselves here. Let's wash your hands and go to the Main Building. For sightseeing, you shouldn’t miss the ceiling of the Main Building. There are large and beautiful Buddhist paintings. 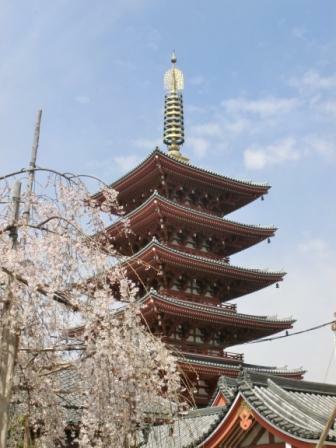 Sensoji Temple is large although many people pay their attention only to Nakamise Street and the main building. There are calm and quiet places such as the other temple buildings and Buddhist statues beside the lively areas. Personally I like the stream at the left of the main building. 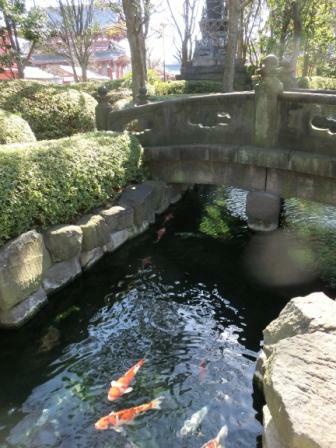 The water is very clear and carp are well-grown. There are some yearly events in Sensoji Temple. 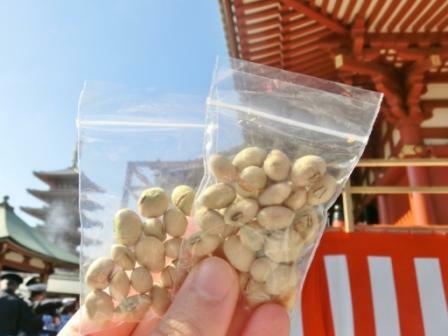 Soy bean scattering for Setsubun Festival in February is big and famous in Japan. You can join it to catch soy beans for free! The second photo is Hozuki (Chinese lantern pot) Market in July and the next is Hagoita Market in December. Asakusa locals are known to be people who love festivals so much. Traditional Sanja Festival in May and Asakusa Samba Carnival in late August are extremely exciting. 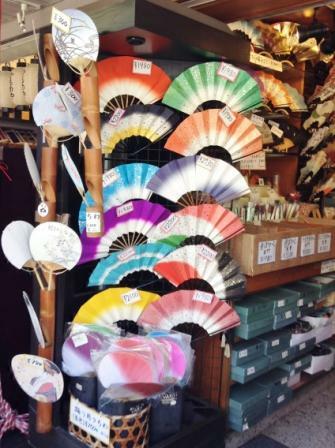 They are all of must-sees in Asakusa. You will also visit the other buildings in the temple, return to Nakamise street and buy more souvenirs, try some snacks you missed, stroll the other streets, and so on. 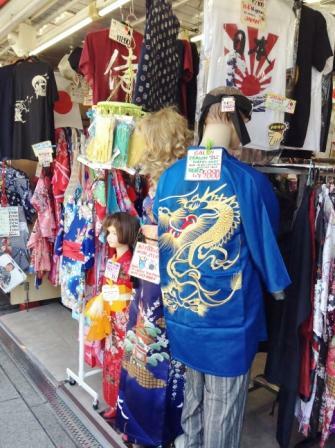 Not only the main street of Nakamise, there are many interesting shops around. If you want to learn more, please visit Blog Tokyo Direct Diary. Around 3, 4 February Setsubun Festival Sensoji Temple A traditional Japanese festival to scatter soy beans to welcome good luck and eject demons. 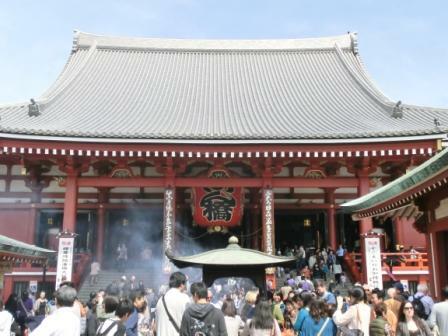 Friday, Saturday and Sunday close to 17, 18 May Sanja Festival Asakusa Shrine next to Sensoji Temple. A festival originated from the 14th century. 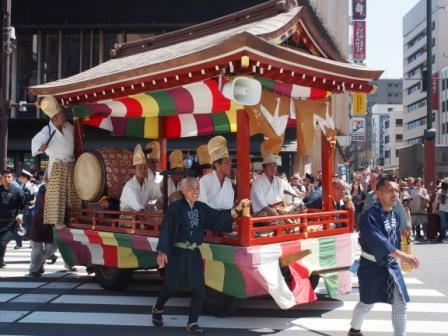 Traditional Parades with portable-shrines. 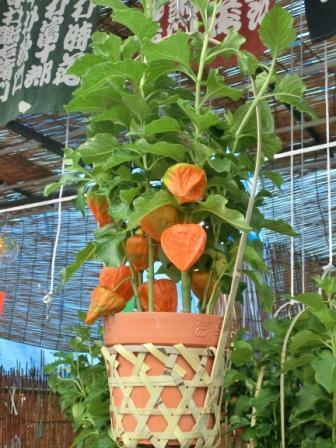 9, 10 July Hozuki Market/Ichi Sensoji-Temple Pots of Hozuki (Chinese lantern, the name of the plant) are sold. Weekend in late August Samba Carnival Streets around Sensoji Temple The biggest samba carnival in the Northern Hemisphere. 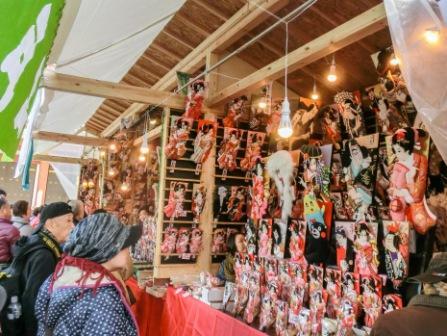 17, 18,19 December Hagoita Market Sensoji-Temple Traditional crafts called Hagoita are sold. 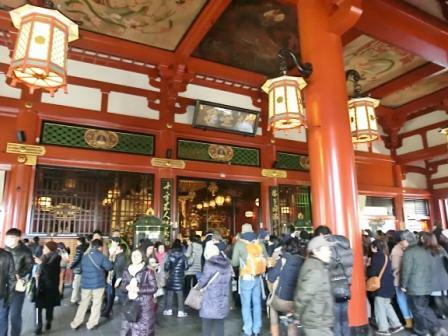 31 December (0:00 of New Year) Watch-Night Bell Sensoji-Temple The bell is tolled 108 times for New Year. Although Asakusa is not a central station of Tokyo, it is convenient to visit many of Tokyo’s popular places with Ginza Subway Line. Once you arrive at Asakusa from the airport, it is easy to understand how to go to Ueno (the 3rd station from Asakusa), Ginza, Omotesando (Harajuku), and Shibuya (the opposite terminal of Ginza Line). The links below show accommodation around Asakusa, from cheap hostels to 4-star hotels, from new stylish hotels to Japanese-style ones (Ryokan). Some of them don't have many rooms, so book as soon as possible! These 2 ryokans are located just next to Nakamise Street and Sensoji Temple. Great to explore traditional Japan. A Japanese-designed hotel right next to Kaminari-mon Gate. Only 22 rooms. Book as soon as possible if you want! A modern, clean and stylish hotel opened in 2012. Very close to Kaminari-mon, Nakamise Street and the station. There are many options of hotels at reasonable prices and capsule-hotels. There are many local hotels for tourists. If your hotel is not near the station, I advise you to have a map to see the detailed route.